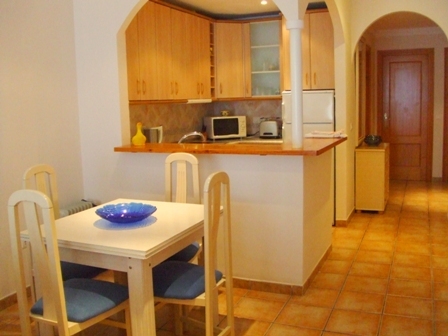 This delightful two bed apartment is situated in a prime location right on the Playa Burriana. 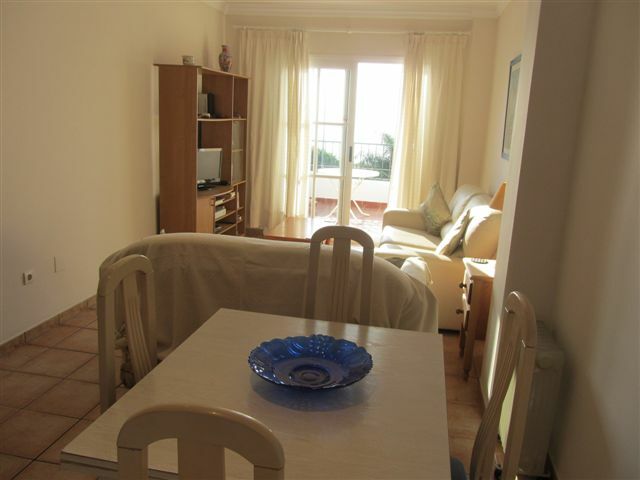 Ideal for anyone who wants to enjoy the sea, sand and sports. 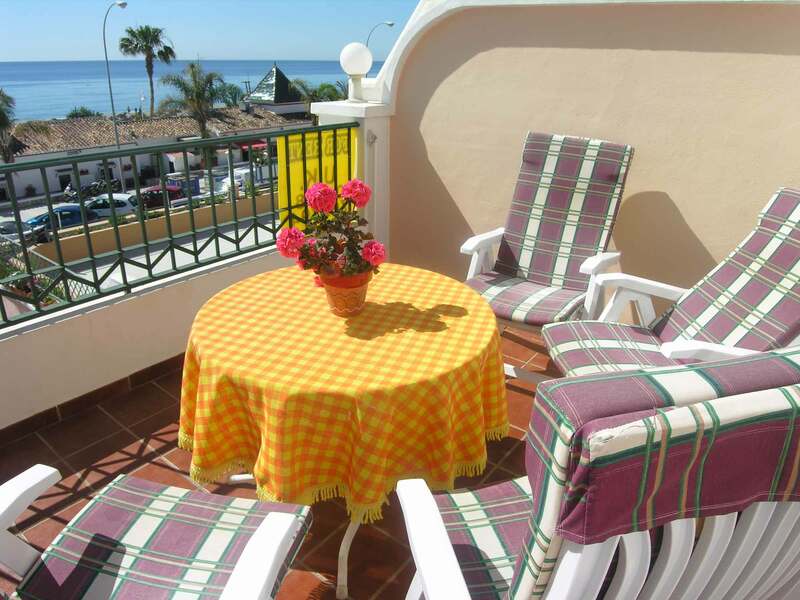 Very comfortably furnished with terrace with wonderful views of the sea and mountains. 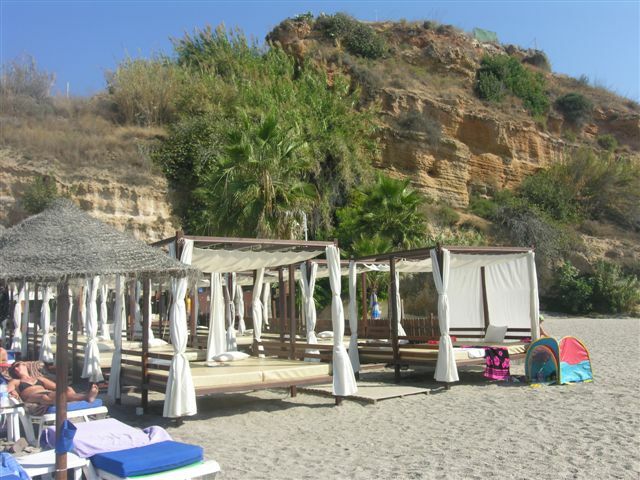 It stands just across a small road from the beach where there are several little restaurants and shops and a supermarket. 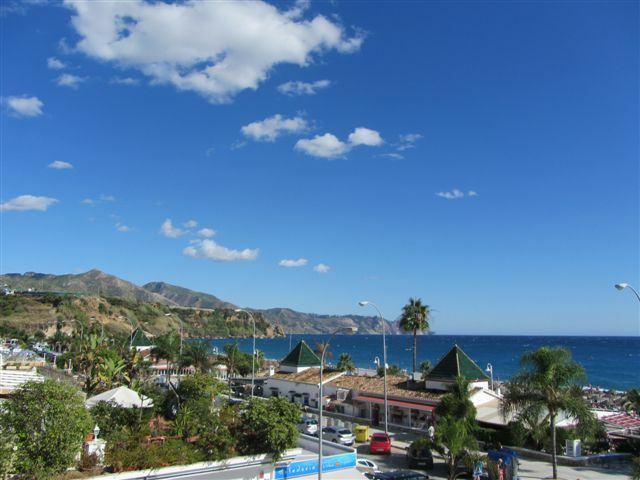 The centre of Nerja is approximately one kilometre away where you would find very nice shops, bars and restaurants. . 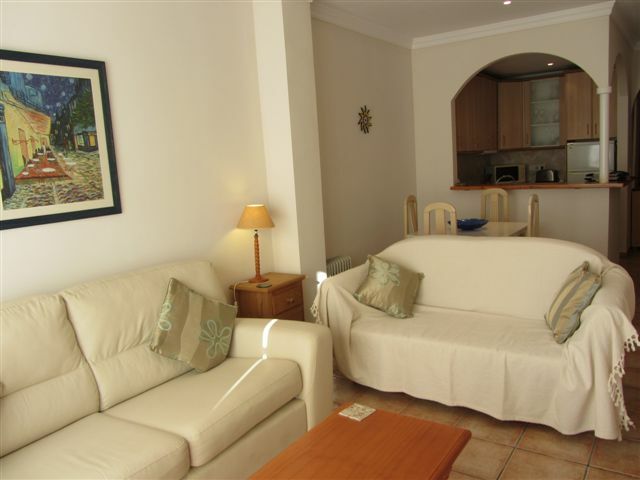 The apartment has a double bedroom and twin bedroom plus lounge/dining room with satellite TV, radio, dvd and cd. 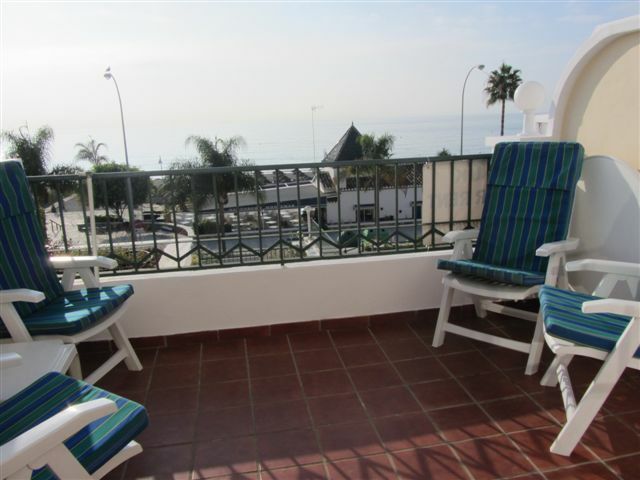 Patio doors lead on to terrace overlooking the sea. 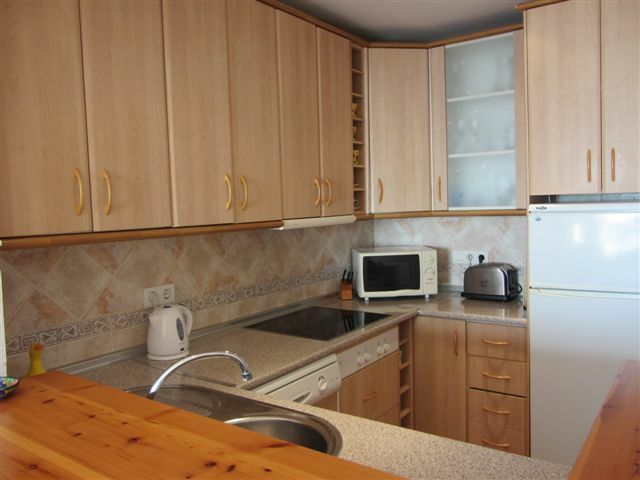 The fully equipped kitchen has cooker/oven, fridge/freezer, dishwasher, microwave and washing machine The modern bathroom with WC has bath and shower. It has an iron and hairdryer and air conditioning. Once again we thoroughly enjoyed our holiday in Nerja. 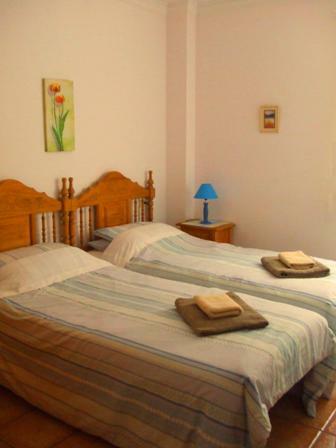 The apartment was extremely clean, comfortable and had everything we needed. 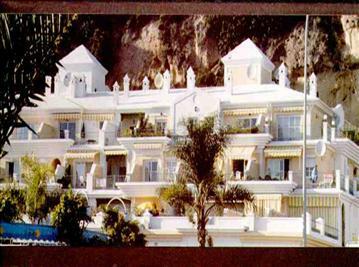 We look forward to our next visit to Nerja in October. Thank you. As always, great service from Gill Johnson both personally and as a company - text updated info and organised late departure from apartment whilst we were there. 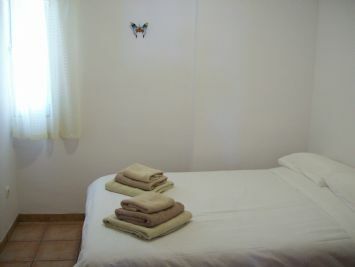 Everything in the apartment was delightful, spick and span with lovely bedding and towels . We would not book our holidays through anyone else.